Packing for college can be stressful, and the thousands of online lists mentioning hundreds of items "you cannot live without" are equally overwhelming. When packing for your freshman year of college, it's hard to not overpack. You don't really know what to expect, and therefore, bring everything you could ever possibly need. And a lot of that stuff is going to come home with you in May, completely untouched. Following my freshman year of college, I have compiled a list of items I brought with me, but NEVER USED. In theory, a second pair of sheets is a good idea. But you're most likely never going to actually need them. Washing your sheets takes a little over an hour so it's completely feasible to do that in-between waking up and going to bed. We're big kids now. We can do this. The Golden Rule to being happy in your dorm: effectiveness > aesthetics. Decorative pillows take up space. 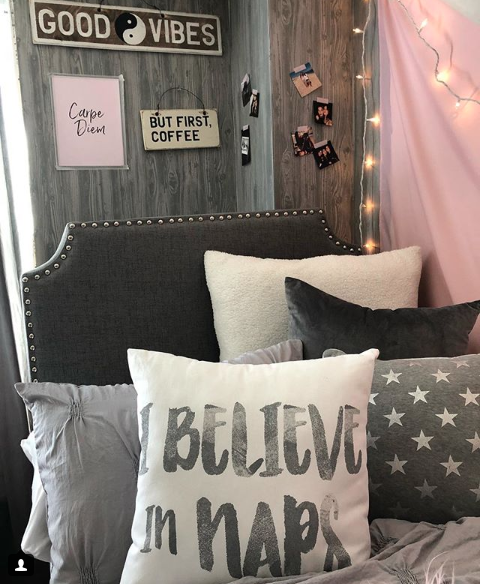 Every night, you're going to throw your decorative pillows on the floor and every morning, you're not going to want to take the time to make your bed. While decorative pillows are cute and all, there are other ways to spruce up your bed. Put fun pillow cases on practical pillows! It has the same exact effect and they are a lot more useful. Plus, for having no purpose, decorative pillows are extremely expensive. Hi. It's 2018. You have a phone. And your phone has an alarm clock. 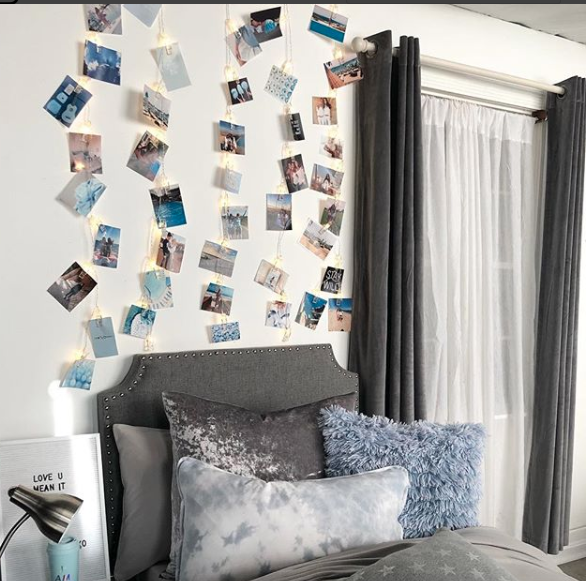 Your bed is most likely going to be lofted, meaning your alarm clock is going to be out of reach, meaning it's going to go off super early in the morning and you're not going to want to turn it off, meaning your roommate is going to be extremely upset. Not worth the hassle. Plus, they take up space, which there isn't a lot of. Desk space is SCARCE. DO NOT WASTE IT ON PICTURE FRAMES. It's so much easier to just put unframed pictures on the wall. Plus, you can have a lot of fun arranging them in creative ways! Chances are, your dorm will have blinds. So unless you want a blackout curtain, bringing curtains is flat out useless. Another popular use for curtains is using them for your closet. Many dorms don't have real closets and instead just have an open alcove area. Putting a curtain in front of that area is just another hinderance in a tight space. You'll be using your closet AT LEAST once a day (about twenty times a day if you're like me) and the curtain just gets annoying. Plus, not having a curtain forces you to keep your closet clean and organized. Once again, desk space is SCARCE. These big bulky items take too much space considering the amount of times you'll actually use them. If you don't have a printer in your room, these are two items you'll never really need. And chances are, when you print something in the library or wherever, these items won't be far. If you actually thought you were going to pull out an ironing board before class, you must be trippin. However, presentable looking clothes is necessary for presentations, conferences, chapter, interviews, etc. So I have a much more practical, time efficient, easier solution….. INVEST IN A STEAMER. You can buy them for $20 in all types of fun colors. I used this baby every. day. It takes less than a minute and the steamer itself takes up very little space. Because of its size, it's extremely portable and can get thrown in a bag when going on overnight conferences and trips. If you plan on wearing clothes other than norts and tee shirts, buy one. Packing for college can be a challenging task, but don't let that lead you to pack everything and the kitchen sink. Dorms are tight spaces and having extremely cluttered rooms filled with things you don't ever use WILL bring unwanted stress and troubles. A general rule for packing: if you don't use it EVERY SINGLE DAY at home, you're NEVER going to use it at college.